A few weeks ago, Bristol brand ANDWOT put together a small collection of four t-shirts for the summer season. 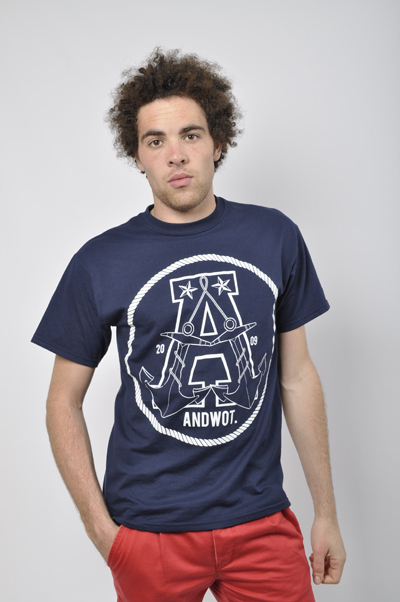 ANDWOT recently shot the 4 T-shirt collection with a full on summer vibe, showcasing the tees in their best light. Two designs are split across two tees each, both with a nautical feel. 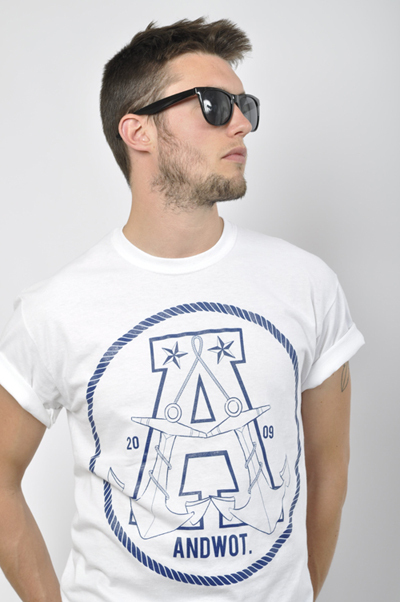 The first design features a large chest print of two anchors, placed side by side and finished with a rope to form the ‘A’ of the brand’s name. It’s finished with nautical stars and a rope frames the image – available in white and navy blue. The second is my particular favourite, coming in two inverse colourways. 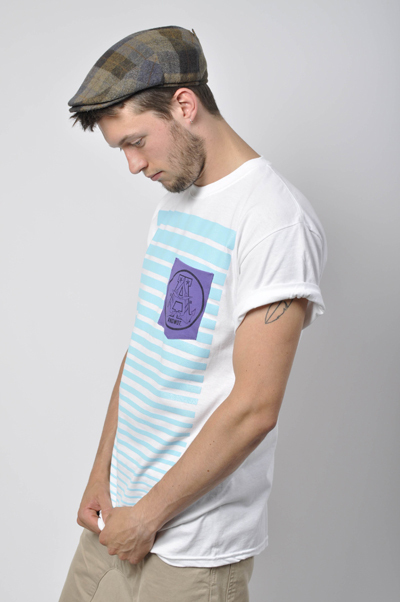 The Anchor pocket tee features a gradient of horizontal lines spanning the chest, and a hand-sewn pocket with screen-printed ANDWOT logo. The colourway choices here are spot on, coming with purple lines/aqua pocket and the opposite aqua lines/purple pocket. 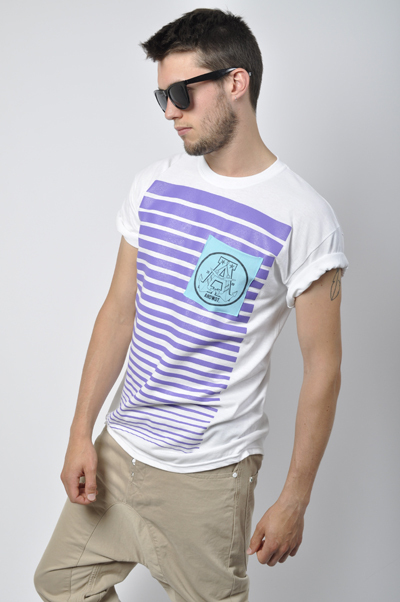 As a final touch, all tees are printed and produced in the brand’s hometown of Bristol. All 4 designs are available now from the ANDWOT store online. More from ANDWOT here. These guys have stepped up their game, nice. This just looks like a total rip off of the award tour season 1 and 3 collections!!!! STEP UP. . . more like a step down!! !